The Schumacher Homestead is located on the north end of the prairie within the Texas Native Trails interpretive exhibit at the San Antonio Botanical Gardens. Originally constructed in 1849, the Schumacher House was purchased through the Halsell Foundation from Schotzie Crouch of Fredericksburg, Texas, and dedicated in May, 1983. This three-room home, characteristic of the dwellings built by the early German settlers of Central Texas, utilized Fachwerk or half-timber construction, a method employing wood timber framing and nauging in-fill. The nauging in the earliest portion of the home is made of traditional wattle and daub: that in the first addition uses limestone. The final addition, assumed to have served as a kitchen, has load bearing limestone walls. 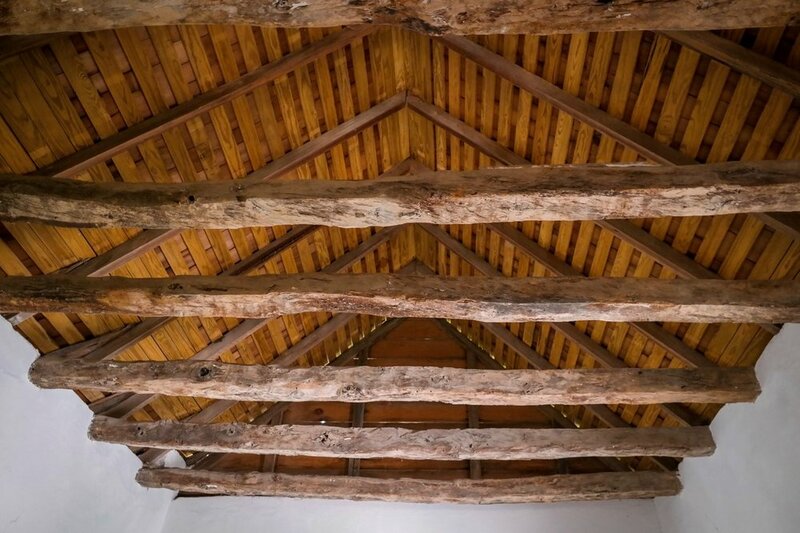 The work of this project included removal and replacement of the wood shingle roofing and any rotted roof framing. 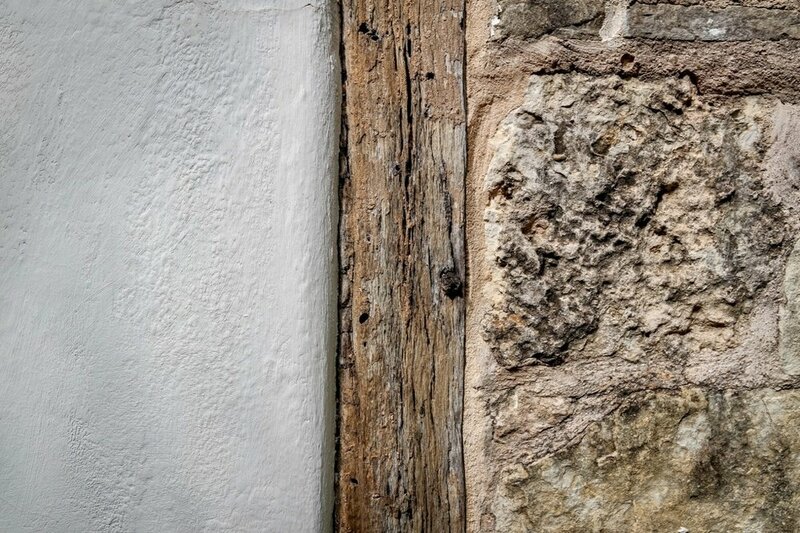 Where timber–framed walls were plastered on both sides the exterior plaster was completely removed. This exposed the thoroughly rotted timbers at the north façade of the west addition. Most of these timbers were then replaced to match the original. All plastered walls received new lime-rich plaster and a whitewash coating. The plaster floor in the kitchen was repaired to match the existing and a new batten door was crafted to replace the one long since missing from the kitchen, leading to the rear yard. To alleviate the problem of site water washing through this site and undermining the building’s shallow foundation, all the area around the structure was re-graded and a small catch-basin was installed to the east of the house. Short retaining walls of typical limestone construction were built to the east and north of the house, creating a rear yard for use in interpretive programs; and the front yard was enclosed with a typical King Ranch type fence.